Meet the makers behind some of the most notable master-planned communities in Frisco, Fort Worth, and Plano. On a Sunday afternoon in mid-May, Ben Rogers, his wife, and their three kids were hanging out on a beach. Rogers, who co-hosts The Ben & Skin Show on 105.3 The Fan, had his feet in the sand while his kids splashed in the water. After soaking in the moment, he pulled out his phone and composed a text. “You have created paradise,” the text read, in part. 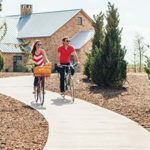 Ruggeri and Wagner head Republic Property Group, the residential developer responsible for several master-planned communities in North Texas, most notably Phillips Creek Ranch in Frisco, Walsh in Fort Worth, and the Villas at Legacy West in Plano. 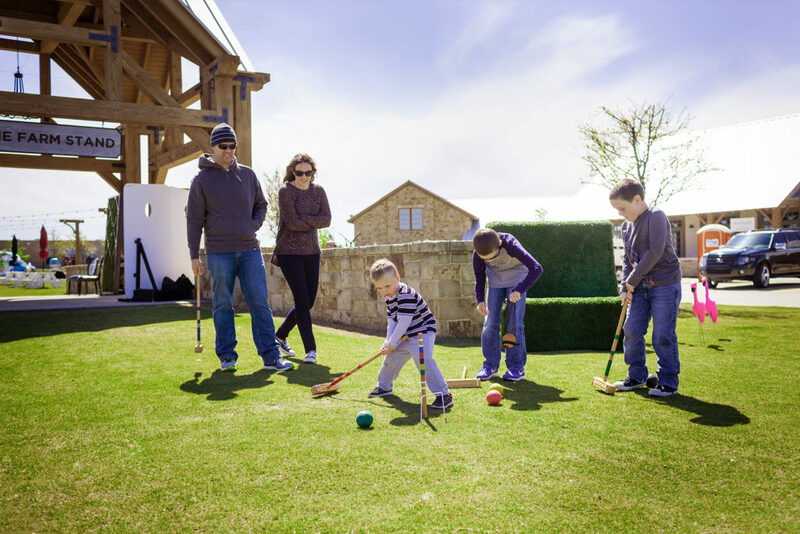 Republic Property’s Light Farms community in Celina offers a variety of amenities including croquet. 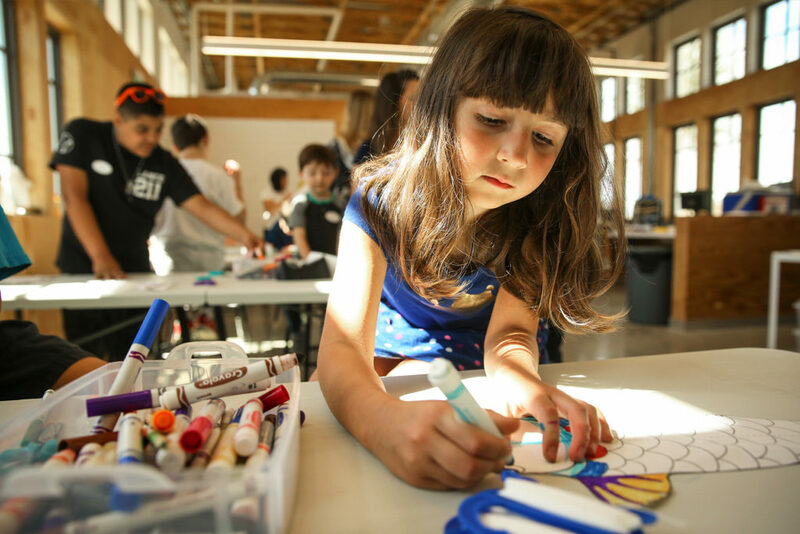 Opposite: A young resident enjoys activities at the “makerspace” at Walsh. In 2015 and 2016, Phillips Creek and Light Farms were two of the top 50 master-planned communities in the country, based on home sales and according to real estate advisory firm RCLCO. (Phillips Creek made the list again in 2017.) Also in 2015, Republic beat out about 40 competing firms—many larger and more tenured—to be named the development partner of the 7,200-acre ranch in west Fort Worth called Walsh. For most of its 51-year history, Republic Property Group as a brand was virtually unheard of, instead known mainly as “Rick Strauss’ company,” and its developments known as “Strauss’ deals.” The son of Democratic Party powerbroker Bob Strauss, Rick Strauss had founded the firm in 1967. When he stepped into a chairman role five years ago, he tapped two 30-something Dallas guys who each had less than 10 years of experience to take the company into the next generation. Back in 2004, Wagner and Ruggeri were sharing an apartment in Turtle Creek and working as real estate brokers—Wagner in land brokerage at Landmark Interests, and Ruggeri in retail at CBRE. At that point, the pair had already known each other for half their lives, having met as seventh graders at St. Mark’s School of Texas. After attending college (Boston College for Ruggeri, The University of Texas at Austin for Wagner), they found themselves back in Dallas. Wagner was thriving. The booming land market before the Great Recession offered robust opportunity, and he was closing a lot of deals. Ruggeri, though, was getting restless. His introverted personality made brokerage challenging, and he was looking for more fulfillment and meaning. Wagner suggested Ruggeri speak with Strauss at Republic Property and Wagner’s father, John Wagner, who was Republic’s managing partner. The firm had developed Lake Forest in Dallas, Stonebridge Ranch in McKinney, and Valley Ranch in Irving, among others, and development was appealing to Ruggeri. Strauss was in the midst of developing Lantana, a 1,780-acre master-planned community centered around a golf course near Flower Mound. Jake Wagner had heard that Strauss was interviewing young guys to bring into the firm and thought it could be fruitful for Ruggeri to introduce himself. It was, and Ruggeri joined Republic Property Group in 2005. After six months, Wagner joined as well. “He saw them as potential successors,” says Ron Steinhart, the former CEO of Bank One Corp. Commercial Banking Group and a Republic board member. Though Strauss’ decision to take a chairman role came years later, Steinhart says, Strauss got Wagner and Ruggeri very involved in the company right off the bat. For about eight years, Wagner and Ruggeri spent all day, every day with Strauss. Wagner was initially hesitant to work so closely with his family—not just his father, but two uncles as well—but ended up spending so much time with Strauss that there were days he wouldn’t even see his kin. “We were sitting in on meetings we had no business sitting in on,” Wagner says. In five years, Wagner says, he and Ruggeri got an education in real estate, based on timing and Strauss’s goals, that should have taken 20 years. Around 2012, a few things happened all at once that radically transformed Republic Property Group. After acquiring the land that would become Light Farms and Phillips Creek Ranch during the Great Recession, Republic was ready to develop the properties in 2012. Strauss was preparing to transition to chairman, and Wagner and Ruggeri took more senior positions as project managers. The weekend after Wagner was promoted, Lantana—the project he was now overseeing in Denton County—caught on fire. No one was hurt in the fire, which was caused by fireworks and resulted in minor damage to the golf course, but the mishap was a sobering moment. By 2013, the pair had acquired a majority stake in the company, decided after an easy discussion to split the company equally, and anointed themselves co-CEOs. At the same time, Strauss and John Wagner transitioned to chairman and vice chairman of the board, respectively. Over its 51-year history, Republic has developed more than $7 billion in assets. Today, its 66 employees are focused on four major projects: Walsh, Light Farms, Phillips Creek Ranch, and the Villas at Legacy West. (In 2014, Republic sold its stake in Lantana to its capital partner Forestar Group.) Republic, which Wagner calls a “no-debt company,” looks for a patient, long-term capital partner for all its projects. Republic will master-plan the community and, in most instances, sell off the real estate to homebuilders developing single-family houses. Also under the Republic umbrella is a management company employing 25 people. The Walsh Village Market sells everyday items, reminiscent of a general store. When Wagner and Ruggeri joined the firm, their backgrounds naturally led to different roles. Wagner’s experience in land brokerage led to an acquisitions role. He also takes the lead on strategic planning, development, and construction. Ruggeri’s interest in community building often finds him at city council meetings working through planning and zoning issues, and in Austin focusing on state legislation. Ruggeri is also engaged in using his and Wagner’s ages (36 and 37, respectively) to connect with first-time homebuyers. “Jake and I recognize that we have a fleeting moment in time when we are the buying demographic,” Ruggeri says. “Where other companies have to spend hundreds of thousands of dollars on market studies, we just think: What would we want?” As a result, Republic is committed to always having a “healthy population” of employees in the buying demographic so it has a direct pulse on homebuyer desires. With all their shared history, Ruggeri and Wagner still have a remarkable amount in common. They’re both married and raising three kids, roughly the same ages. Their eldest children are in the same grade at Dallas’ Lamplighter School. But their personalities aren’t identical. Ruggeri talks with his hands and brings up philosophy in discussions about business. Wagner pauses before answering questions and speaks with a lot of specificity, rattling off statistics he’s committed to memory. They both use the pronoun we in a way that’s neither forced nor cavalier. Steinhart says the co-CEOs have more similarities than differences. 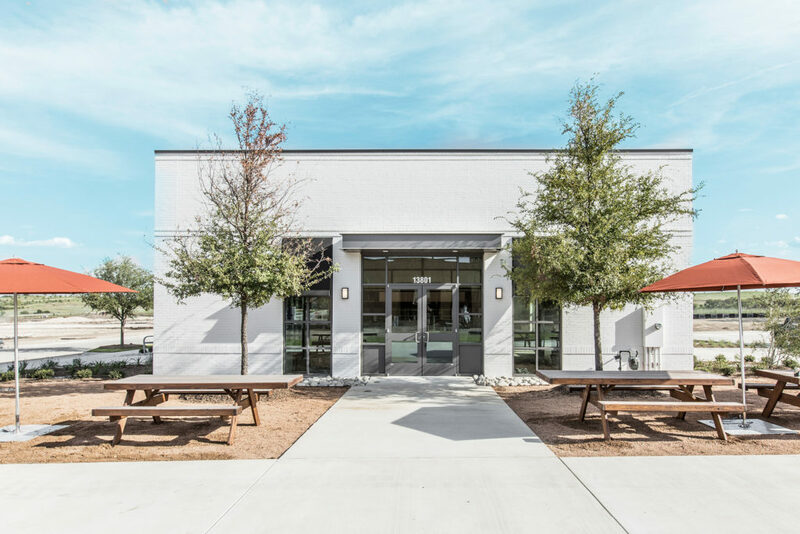 Chief among them: “They’re very innovative.” To refresh how master-planned communities are created, for example, Republic Property has pushed beyond the typical realm of residential development to build the likes of a restaurant, market, a telecom company, and a co-working space. At Light Farms, it owns and operates a restaurant called The Farm Stand Café & Market, and has doubled down on its commitment to nature and community with 13 miles of trails, a neighborhood farmers market, programmed events, and 240 acres of parks and open space. Light Farms is about half complete, with 1,100 homes closed and another 700 or 800 selling today, Wagner says. At Walsh, Republic just opened a 2,000-square-foot “makerspace” with equipment such as a laser cutter, 3D printer, woodworking tools, robotics lab, and computer design software. Walsh also has a general store-style market. The firm has also focused on technology and connectivity at Walsh. By creating a telecom division of the company, called Frog, the firm has made Walsh the first master-planned community in the U.S. to offer a minimum of two-gigabit internet speeds in all homes and schools within it, with speeds of up to 10 gigabits available. It’s also dabbling in operating a co-working space for Walsh residents. In the planning phases at Walsh, for which Republic is the development partner of original landowners the Walsh family, the firm hosted a retreat to determine the development’s relationship with greenspace. 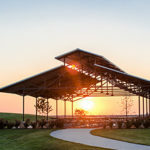 Dictated by the Walsh family’s desire to keep one-third of the acreage as greenspace, Republic engaged more than 25 experts ranging from wellness professionals and botanical researchers to nature-deficit disorder specialists as consultants for Walsh’s more than 2,000 acres of greenspace. The result: a mixture of natural landscape, programmed parks, open fields, playgrounds, trails, and more. In the year it’s been open, Walsh has sold more than 180 homes at an average price of $485,000. Since its inception, Republic has been a fiscally conservative firm. But as Ruggeri and Wagner took more senior roles in the private company, they brought along some calculated risks. Republic bought the 957 acres that would become Phillips Creek Ranch when the loan note was in bankruptcy, and foreclosed on it as the first lien holder. The deal, further complicated after the lender—AmTrust Bank—went under to the FDIC, required a lot of homework and risk assumption. On top of that, Republic spent about 18 months re-entitling the land through the city of Frisco. Republic acquired the lien from the lender in 2007, while Strauss was still running the firm, but Ruggeri says the experience was a lesson in how to be scrappy and learn on the fly. Ruggeri also took a gamble when he led the charge to bring the company’s marketing department in-house. “There was a moment early on in my career where I almost left the company because of it,” he says. In 2011, he was increasingly frustrated that Republic was contracting with a company that worked with a lot of other developers as well. “We were all paying the same company to stand out. I wanted to have someone who got up every day, spent time in the communities, and deeply understood them to post relevant content that was meaningful to residents,” he says. Working through that novel process created a lot of friction with existing Republic employees. Ted Wilson doesn’t see it that way. 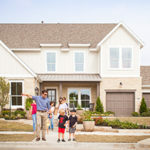 Wilson is principal and founder at Residential Strategies Inc., where he consults with virtually every residential builder in North Texas on things such as planning and zoning, lot sizes, and more. “With Jake and Tony, there’s a sensitivity to development that not everybody takes. We have strategizing meetings … based on values for a specific project. … It’s not just about lot size and house pricing,” says Wilson, who’s worked with Republic since the early 1990s. In early 2016, Republic closed on a tract in Plano’s booming Legacy West. Spanning 12 acres, the Villas at Legacy West project is miniscule compared to Walsh’s 7,200. But size isn’t the key for this project—density is. About 100,000 people work in the surrounding area, and they’re demanding urban places to live in proximity to jobs. 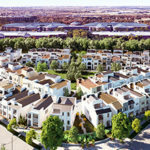 Republic’s 127 homes afford it the opportunity to learn how to develop higher density product. Unlike many of its other communities—its earlier developments centered around golf courses, and its newer ones defined by amenities—this project draws on the restaurants and activity already in place at Legacy West. The Villas at Legacy West is serving as a training ground for Republic to perfect its urban infill developments. Ruggeri and Wagner intend to use those lessons closer to home.